Nutrition is the cornerstone of good mental health. This is why it’s one of the first things I talk with my clients about when they start to work with me. Nobody is perfect, least of all me, but the more conscious we are about making sure to eat at least three meals a day, plus a few healthy snacks, the easier it will be for our mood to be calm and comfortable and out energy level to be active. 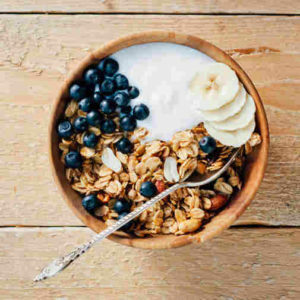 It’s not unusual, when I start to discuss this with my clients, for folks to tell me, “Well, I’m really not hungry in the morning.” Because breakfast so strongly sets the tone for our bodies for the rest of the day (because of chemical processes that need to be fueled in the morning, as well as other things), this is an issue that we need to tackle together. In her article, Dr. Allott teaches us about why you actually aren’t feeling hunger, even though your body really does need more food. And, while she explains it in the context of breakfast, this is true for any time that our glucose level (“blood sugar”) goes low and kicks off a process in our liver that taps into our body’s emergency reserves. PS – While you are on her site, you may want to explore. She has TONS of free resources available that really help to illustrate the connection between nutrition and mood. 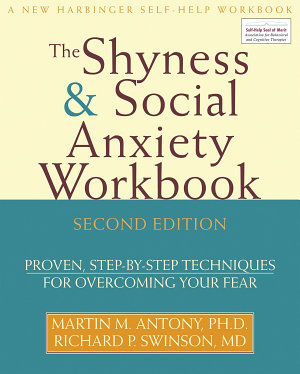 I recommend using this book when working with adults and some teens who have high levels of shyness and social anxiety. In a clear, and easy to read fashion, this book takes you step-by-step through the process of learning about how cognitive behavioral therapy (CBT) views shyness and social anxiety and is a powerful tool in overcoming how these thoughts and feelings can hold you back from living your life in a way that you are comfortable and happy with. CBT is a therapeutic philosophy and a large body of scientific research strongly supports CBT as the foremost treatment of social anxiety. I do think that most people would still need a therapist to be guiding them through the process because for the individual working to learn these skills and challenging themselves to try new things, it can take a lot of energy. When a therapist is coaching you in the sidelines (and celebrating your successes with you), it frees you up to devote all of your energy towards growing. However, over time, these are skills that you will learn and can take with you forever. Once you understand how it works and how powerful it is, you will be able to use this approach to tackle any similar issues that should come up for you in the future. As a therapist, I don’t use this book alone. I supplement it with concrete, scientifically grounded information about relaxation breathing, Growth Mindset as well as other customized handouts and tally sheets for homework. Dan Zadra says (according to the internet), “Worry is a misuse of imagination.” So it seems to be a logical extension of that idea to say that we worry most about the things that are easiest to imagine. In this TED talk, Karen Thompson Walker cites history and scientific research to assert that this is indeed the case. Knowing this has the potential to help us make more informed and practical decisions…if we strive to focus on facts and not the lurid details that our brains can conjure. It can also help us short-circuit our brain’s inclination to borrow trouble and leave us marinating in the anxiety of what is possible, rather than what is probable. 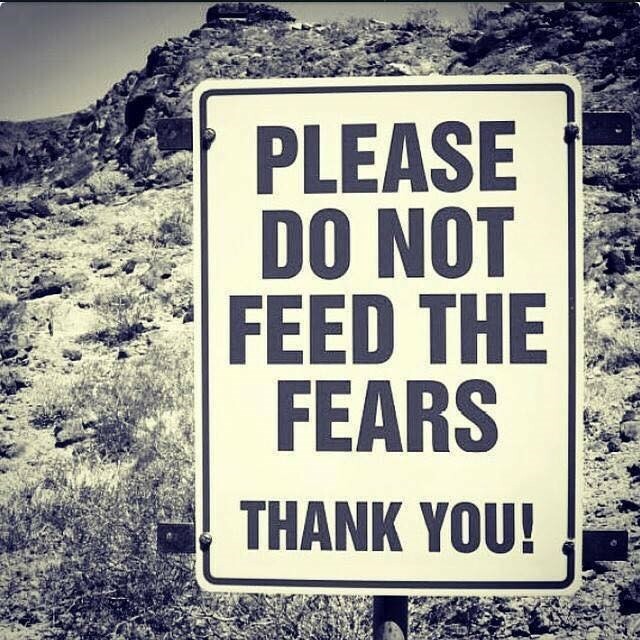 When we recognize our fears for what they are, a story that our mind is creating about what could possibly happen, after taking a logical look about whether the fear is something truly worth worrying about, we can choose to give less importance to some of the scary stories that our brains can distract us with. PS – If anyone has a reliable citation for the quote above, please let me know! Panic attacks feel very intense when you have them. At best, it’s not a comfortable feeling. At worst, it feels very scary because your body feels like it’s out of control. Some people even worry that they are having a heart attack. If you are experiencing these symptoms for the first time, definitely talk with a medical professional to rule out any medical causes before treating the symptoms as a panic attack. This is important for two reasons. The first is that you need to get a proper diagnosis. The second is that if you are constantly worrying that you are having a heart attack…that’s going to increase your anxiety and make successfully treating panic very difficult. Once you know that your body is healthy and ok, it’s time to dig in to the emotional aspects that come into play with panic and anxiety. When you worry too much about the possibility that you might have a panic attack, then this worry itself can become the trigger for your next panic attack. 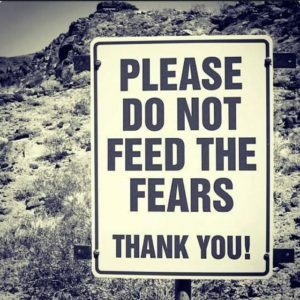 I call this having “fear of the fear (that it will happen again).” With the use of acceptance, information, “growth mindset,” and skill development, here are some guidelines that work against the negative spiral that can happen when people start to develop a “fear of the fear.” This article assumes that you already have started working on developing the skills for turning around a panic attack and is part 3 of a four-part series of articles I hope to complete. Hopefully, I’ll get part 4 up soon! I had mentioned Amy Cuddy’s work about power posing to a similarly scientifically-minded person recently and, after doing some reading on their own, they brought to my attention a blog article posted on the Scientific American website, The Dark Side of Power Posing: Cape or Kyrptonite, by Jay Van Bavel (11/212013). It took a look at Amy Cuddy’s work about ‘power posing’ and then pulled in some other relevant research findings. Basically, research suggests that there are traits within us and within our environment that affect whether power posing is helpful or makes things worse. One study found that, if you are a person who struggles with a lot of negative self-talk, power posing can actually have the opposite effect and decrease self-confidence. Other studies suggest that power posing can also be used to increase the likelihood of us doing things that amount to an abuse of power, such as: steal; cheat; or break traffic rules. I found Van Bavel’s article very interesting because, after I learned about Cuddy’s work, I had been curious about how it connects to the scientific research about the power of positive mental imagery. Research in the area of sports psychology has found a significant connection between athletes mentally rehearsing their craft and improvement in their ability to perform the tasks their sport requires. And trauma research has revealed that healing can take place when we re-imagine a traumatic event and role-play ourselves as powerful and able keep ourselves safe. So, after learning about how power posing affected body chemistry, I had wondered if simply imagining a power pose could shift body chemistry as well. Because Van Bevel’s ‘Dark Side’ article is generally talking about the importance of our thoughts when we strike a pose, that what we are thinking affects whether we can use poser posing for ‘good’ or for ‘evil,’ it leads me to suspect that our body chemistry does change when we imagine ourselves doing a power pose. Hopefully, a researcher will take a look at that in the near future. 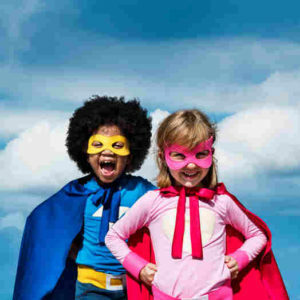 More importantly, though, the notion that our thoughts can influence whether a power pose is a good thing, suggests to me that pairing the power pose with positive self-talk is critical so that we can increase the likelihood of using our power for the good of ourselves and for society in general. The next time you are doing your Wonder Woman pose before your next job interview, I would suggest that you are also imagining yourself speaking to the interviewer in a confident and personable way. Cognitive Behavioral Therapy (CBT) is based on the premise that our thoughts, emotions, and behavior are all interrelated and affect one another. Because of this, if we learn to identify when we are having “thought errors” that distort our perception of reality, often skewing to seeing things in more a negative light, we can then Dr. David Burns is a well known researcher, clinician, and public speaker. He is one of the leaders in the development of CBT, having been trained personally by CBT’s founder, the world-renowned Aaron T. Beck, MD. In this short video, Dr. Burns uses stories from his life experience both as a clinician and as a person, to illustrate the power of CBT and how working to change our thoughts, in a real and genuine way, can have a profoundly positive effect on how we feel. CBT has become the strongest (most likely to succeed), “evidence-based” form of therapy for issues such as depression and Bipolar Disorder, various forms of anxiety (PTSD, phobias, Obsessive-Compulsive Disorder), eating disorders, and substance use disorders. This means that scientific research has been able to document that CBT really works for people. Using research science to back up her ideas (in a very NOT boring, sciency way) Amy Cuddy tells us how a simple thing like our posture affects us (our body chemistry and how we perceive ourselves) and other’s perceptions about us. Increasing how mindful we are about our body language, can impact things ranging from job success to that special person saying, “Yes!” when you ask them out for the first time. Through pictures, contemporary media clips, and interactions with her audience, Dr. Cuddy demonstrates what she has learned from her colleagues’ research and her own in a way that is easy to understand and entertaining to watch. I guarantee you’ll be sitting up straighter by the end of the video! 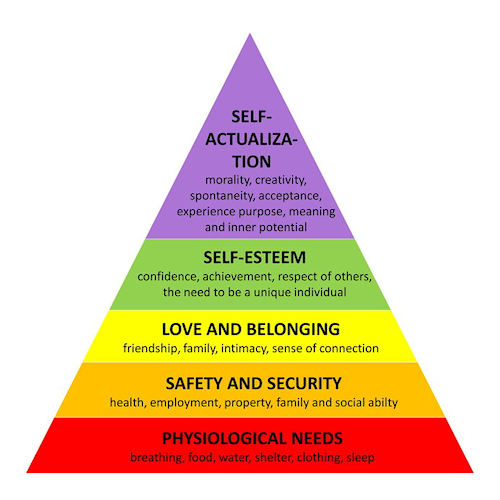 A famous psychologist, Abraham Maslow created a well-known and researched model, a hierarchy, of basic human needs that impact our mental health. They are ordered from foundationally important basic needs to self-fulfillment needs: physiological needs, safety needs, love and belongingness needs, esteem needs, and, finally, self-actualization needs. This interesting TED Radio Hour episode takes a dive into thinking about these basic needs in our modern times. Using people’s individual stories to illustrate each level of Maslow’s hierarchy. If you are interested in reading a more complete overview about the hierarchy, I encourage you to take a look at this easy to read article on Simple Psychology.